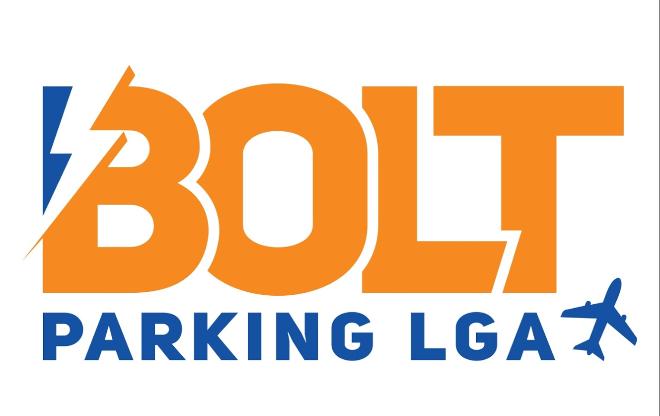 Bolt Parking LGA LaGuardia Airport offers Long Term Parking at great rates! Get to and from New York LaGuardia airport fast with Bolt Parking LGA free valet door to door white glove service, friendly drivers will provide luggage assistance free of charge. Bolt Parking LGA low rates, great valet service, and just a five-minute ride to and from LGA airport. Free Shuttle · Free Cancellation · Secure Checkout · Lowest Prices Guaranteed! Please arrive 30 minutes earlier as check in and traffic can take up to 30 minutes to get to the terminal. Present your InstaPark Reservation ID to the attendant upon arrival. When you return from your trip to LGA please call 1 718-626-4600 to request a Bolt Parking Shuttle pickup. Use the right lane to take exit 13B-13C, for Grand Central Parkway toward Eastern Long Island/Laguardia Airport. Keep right at the fork to continue on Exit 13C, follow signs for Grand Central Parkway W and merge onto Grand Central Parkway. Turn Right onto 81st St.
81st St turns left and becomes 19th Ave. Turn left onto 38th St. Turn Right at the 1st Cross Street onto 20th Ave. Shuttle is very convenient and no much waiting time. The pick up app is great to use and clearly tells us where to wait for shuttle after baggage claim. Car is ready and parked front out easier for us to leave. Good service. I reserved parking at Bolt parking for LGA using your service. Reservation number is insta-140026. It was from July 1st 10am to July 5th 2pm. The instructions I had received from instapark was to arrive 30 mins earlier. I arrived 50 mins earlier as i missed some nyc traffic. They never told me that I'm early and should wait for my checkin time. When i went to pick up my car today at 2pm the attendant first asked me to pay $40 for a whole extra day as I had arrived 50 moms before my start time. After some push back he only waived off $18.99 which is their default daily parking fee but still charged me $20.38 for other fee which I jad paid for with instapark and he had charged based on the their default rate instead of my reservation rate as you will see in the receipt. I could not argue more as the attendant was holding my car keys and my family was waiting outside in the heat with small kids. Please help get me a refund for the these unreasonable and unethical charges. Great people friendly service quick and efficient Marco very nice friendly greeting people very efficient service shuttle bus very efficient definitely recommend and will use again . Everything was quick, smooth and comfortable. Experience was TERRIBLE. Registered with INSTAPARK and submitted payment. Parked car Check-in Apr 25, 2018 at 08:00 PM, Check-out Apr 29, 2018 at 6:00 PM as per reservation. After a pleasant relaxing trip, went to get car and was presented with a bill for $33.07. The parking lot is operated by BOLT. The BOLT lot operator indicated they do not honor the INSTAPARK rates, BOLT only allows INSTAPARK to make the reservation. All of the charges were duplicates of INSTAPARK (at a higher rate), they would not give me keys unless I paid the difference of $33.07. With wife arguing and kids crying I paid the bill. I have alerted credit card Company to dispute the INSTAPARK and BOLT charges. Bolt parking was great. No issues getting to airport or getting picked up from Laguardia. My issue is with Instapark because there was an extra fee to the parking. Very efficient, well run service. No wait for the shuttle to or from the airport. Very happy with my experience and will definitely use again. departure was fine. On the return, when I called I was told pickup would be 15-20 minutes. 30 minutes later I was picked up. The driver was very short and gruff. When we arrived, he gave inaccurate information (we were prepaid and he said that we owed money, adding unnecessary stress) he then took everyone's luggage out of the van and left it in one giant pile. I would have been better off taking it out myself. Few options near LGA and for the price, Bolt was safe and felt secure, but not the level of service (shuttle frequency, spacious lots) you get at some of the options at EWR and JFK. Attendant in office and on phone upon return was quite rude. Drivers were friendly and excellent. EZpass forgotten in the car, driver brought it to the terminal in 10 minutes. Very impressive very good service. I waited over 25 minutes for the Bolt shuttle to Laguardia and over 40 minutes for the pick up at Laguardia. It appears they only have one shuttle. The day prior to my arrival at the lot I had called customer service for a question. The call went to message all day long. The return call was 2 days later. The woman who was working at the front counter where you check in was very helpful and helped to put me at ease. The driver for Bolt Parking was great too! Will use again when I travel. Bolt Parking LGA LaGuardia Airport Long Term Parking offers an excellent service. It is the second time I've used them and I've always been very happy with the service I have received from all of the employees that work there. Highly recommended for anyone traveling from LaGuardia. Bolt Parking is extremely convenient and only a few minutes drive to the airport. Each staff member that we worked with was eager to help and friendly too. When we came back to the lot from our trip our car was pulled up to the office waiting for us. We both would highly recommend this parking lot. Parking with Bolt Parking LGA LaGuardia Airport Long Term Parking was easy. We self-parked our car. The shuttle to and from the airport was speedy. The driver was helpful both ways with loading and unloading luggage. Very friendly staff. Terrific customer service all around. I knew that my car would be in good hands when I left it with the wonderful staff at Bolt Parking. I'd rate the overall experience at 5 stars! We got to Bolt Parking very early in the morning, the check in was a breeze and the shuttle was loading our bags before we had even completed the process. The driver was wonderful, although a bit too chatty for my liking. Still would recommend them to any of our family and friends. Bolt Parking is only a short drive to the airport. The shuttle drivers are friendly and there always seems to be one available when you need it. Drop off and pick up were fast and easy. The woman working at the desk for check in and out was very helpful as well. I strongly recommend Bolt Parking. The staff of Bolt Parking are very professional. I arrived with no reservation and was able to valet park my car while I was away on vacation. Pick upon my return was quick which was nice because I just wanted to get home after traveling all day. Bolt Parking is easy to use and is always our go to when we are looking to park our car long-term near LaGuardia while we are away on vacation. The shuttle is always available and you never have to wait more than 10 minutes for pick up from the airport. We highly recommend them. I won't leave my car anywhere else from now on! Bolt Parking LGA LaGuardia Airport Long Term Parking is the best by far. The staff works quickly to get you to the airport in a timely manner and pick up runs just as smoothly. Everyone is always friendly and willing to go that extra mile to make sure you have a good experience. The shuttle from Bolt Parking was waiting for us when we parked at 4:30 in the morning upon checking in. It was also there to pick us up the minute we walked out of the terminal when we got back. We are happy with the entire experience and will use them again the next time we travel. The staff at Bolt Parking are all very polite and work quickly. We were flying back, due to arrive at 5:30 am and needed to be in and out of the airport and their lot as quickly as possible. The shuttle was waiting for us when we came out of the terminal and we were back and in our car in record time. Thanks so much for understanding the urgency and working to accommodate us. Easy, fast parking! Would use again! Great for the price. A little further then many other lots but a good value. Very good experience and professional staff but too far from the airport, definitely I will use yor services again. When you arrive ar Bolt Parking all you have to do is drive up to the check-in office and then leave your car with the staff. They will valet park it for you and load your bags into the shuttle. When you get back your car will be waiting for you too. Simple to use, a secure lot and you don't have to worry about your car when you're away. I love everything about Bolt Parking! You can choose to either self-park or use the valet parking that they offer. The shuttle driver got me right to the airport and picked me up immediately when we arrived home. Excellent rates too! I've parked at Bolt Parking LGA LaGuardia Airport Long Term Parking a few times now and have never had a bad experience at all. The staff are all very professional and work in a timely manner. This is my go-to from now on for long-term airport parking when I travel. Super easy and the folks we nothing but professional. Was a little nervous because of location but I was wrong. Bolt Parking LGA LaGuardia Airport Long Term Parking is so easy to use! The entire staff is very efficient, friendly and helpful. We had a very early morning flight and quickly caught a shuttle to the airport with ease. The daily rates are the best around. Bolt is worth using for peace of mind and a break on your wallet. My experience with Instapark was good, and the price was reasonable. I will use them again. The two employees were trying hard but totally understaffed with long waits both to get picked up and then getting car. Billing error was cleared up next day but error there too causing delays when you are tired and just want to get home. The two guys there didn’t lose their cool - I would have. Told me two employees walked off the job that day and only those two. Had to call several times just to get someone to pick us up. Understaffed. Professional and courteous staff and so quick and easy. The shuttles from Bolt Parking run often, the lot is close to the airport and the service is phenomenal! Five stars all around! Bolt Parking is a great company to work with! We left the day before a big snow storm and arrived a few days after yet my car didn't have any snow on it when we got back. It had been cleaned off by the staff at Bolt and was waiting for us when we got back to the lot. We couldn't be happier with our service and will use them again. Bolt Parking LGA LaGuardia Airport Long Term Parking staff were great! They explained everything before and after the purchase. The manager that was working made sure that we were all set before we left at check-in. We didn't have to wait for a shuttle either. Highly recommend using Bolt Parking. This parking service is very convenient and it's the way to go. The lot itself is easy to get to, the shuttles we waiting to take us to the airport and pick us up when we got back. We will use Bolt Parking again. It was fantastic! We arrived at Bolt Parking at about 5 am, check in our car and we dropped off at the airport around 5:20 am. When we got back, we called for the shuttle and were picked up as we walked out of the airport with our bags. All the staff is courteous and polite. We will use them again! The manager at Bolt Parking and his staff are astounding! They made sure that our entire party (of 10) was well taken care of, got to the airport in a timely manner and with no problems at all. We will recommend Bolt Parking LGA LaGuardia Airport Long Term Parking in the future! I was overcharged. I paid in full when I made my reservation on line but the attendant said that was only a deposit and I still owed another$18 and he wouldn’t release the car until I paid. I intend to follow up on Monday and demand a refund. Sensational service, very polite and organized staff, the fastest that I've ever been in and out of LaGuardia airport. Thanks again to the team at Bolt Parking! We had a phenomenal experience with Bolt Parking LGA LaGuardia Airport Long Term Parking. We needed to change our arrival to a day earlier which was no problem at all. Once we got to the airport the shuttle was waiting and the driver loaded our bags while we got in. So easy to use, will absolutely use them again. The service that we received with Bolt Parking was awesome! It was SO easy. We drove up, waited a few minutes as we checked in and the driver loaded our luggage into the shuttle. He then drove us right to our departure gate and unloaded our luggage for us too. So great! When we got back from our trip I called Bolt to let them know we needed to be picked up and they were there by the time we cleared customs and grabbed our luggage. Highly recommend! The service was impressive with Bolt Parking when we were traveling on our vacation to see family in England. They get back to you right away if they are not available and answer all of your questions. We will use them again for sure! I would strongly recommend you check out Bolt Parking LGA LaGuardia Airport Long Term Parking. They took away all of our stress and worries when it came to leaving our car parked in a long-term parking lot while we were away on our vacation. A plus was that they were very affordable and there weren't any extra fees that we weren't told about at checkout. Thanks again for everything! Both shuttle drivers that we had when we parked with Bolt Parking were exceptional. They were professional, friendly (but not too friendly) and insisted that they load and unload our luggage when we arrived and departed from LaGuardia airport. Thanks for taking care of us and making sure that our trip started and ended well. I found that the valet parking was extremely convenient. I didn't have to worry about parking my car at all, all I had to do was pull up to the check-in and the staff took care of everything for me from there. Wonderful experience provided from Bolt Parking, I will be sure to tell friends to check them out the next time they are traveling from LaGuardia Airport. The daily rate was what made us choose to use Bolt Parking LGA LaGuardia Airport Long Term Parking over any other off lot airport parking. The service is what is going to keep us coming back. Everyone was very professional and friendly. They answered all of our questions and made sure that our vacation got off to a great start. Thanks to everyone for the excellent service. We recently used Bolt Parking and didn't have a single problem at all. Sure we were a bit skeptical at first but all of our worries were put to rest when we were treated like VIPs from the moment we pulled into the lot. We decided to use the covered valet parking as we were traveling in the winter and were happy that we did. We love Bolt Parking and will use it again soon! I parked here for a little over 2 weeks and couldn't be happier that I did. Bolt Parking made sure that I got to and from the airport with no problems whatsoever. The staff will answer all of your questions and they're easy to work with. Outstanding 5-star service! Both the service and the price at Bolt Parking LGA LaGuardia Airport Long Term Parking were outstanding. We will use them again and have already told our friends and family who travel to use them as well. Everything about Bolt Parking LGA LaGuardia Airport Long Term Parking was done professionally from start to end. We will definitely be using this very affordable service again and will recommend it to all of our family and friends to use as well. We received great service from Bolt Parking. We were very happy with how our car was taken care of while were away on vacation. We will park here again. Highly recommended! The drivers at Bolt Parking LGA LaGuardia Airport Long Term Parking are super! They have covered and uncovered valet and self-park service, it's completely up to you to choose what suits you best. Honestly, though, it doesn't matter what you decide, everything about Bolt is amazing! All I can say is "wow!" The service was amazing! We just arrived home today from our trip and there's nothing better than getting off a plane, grabbing a shuttle that's already waiting for you and getting back to your car in record time. Check out was simple too and we were headed home in no time. Thank you, Bolt Parking for a great experience from start to finish. The service that we received from Bolt Parking was excellent, the staff was fabulous, the communication lines from Bolt were spot on and the price was cheap. 5 stars all around! Check in was simple and drop off was smooth. When we returned home I called Bolt Parking while we were getting our luggage and was told that the shuttle was on their way. We grabbed our bags and as we got out of the airport the shuttle pulled up. The drive back to the lot was quick and we were on our way quickly. Thanks Bolt for taking care of us. In my opinion Bolt Parking LGA LaGuardia Airport Long Term Parking provides fabulous service and outstanding customer care all around. They tell you exactly what you need to know to ensure that you have a completely seemly experience while leaving your car with them when on holiday. Two thumbs way up for Bolt! I've had a very positive experience with Bolt Parking LGA LaGuardia Airport Long Term Parking. I did find negative feedback from a few reviews, but honestly, I can't understand why. Regardless there were far more positive reviews so I decided to give it a shot. These guys lived up the positive reviews and then some. Highly recommend checking them out! Bolt Parking LGA LaGuardia Airport Long Term Parking is so easy to get to. The shuttle drivers are wonderful and drop you right off at your gate and then will pick you up at your arrivals gate too, no having to lug your bags around. 5 stars for sure! I have no idea where there are any negative reviews for Bolt Parking. This is by far the BEST long-term airport parking that I have ever used and strongly suggest that you ignore those that have said anything poorly about them. Hats off to Bolt for getting it right from start to finish. Highly, highly recommend! Amazing service. It was a lot easier than I ever expected it was going to be and everything worked out perfectly. We will be using this service anytime we travel and can't recommend it enough to everyone we know. We won't use any other airport parking service from now on. Bolt Parking has the nicest staff who are super organized and helpful. There was no wait time to check in or for the shuttle to take us to the airport. A really well run business in all aspects. Thanks to the staff at Bolt for making our trip so much easier. We highly recommend these guys! We will only use Bolt Long Term Parking when we travel from now on. After a few bad experiences with other airport parking companies, we have finally found THE one! This is a great service with staff who are the best and it's only a short shuttle ride to the airport. We just used Bolt Parking for the past week and had a wonderful experience. The shuttle pick up and drop off were on time with no waiting whatsoever either way! We are very happy with the service that Bolt Parking LGA LaGuardia Airport Long Term Parking provided to our entire family. We received excellent service from the entire staff at Bolt Long Term Parking. The rates are very reasonable. Shuttle drop off and pick up went extremely well too. Thanks to the Bolt parking staff. We will recommend to everyone in the future. Last week was the first time that we used Bolt Parking and it was exactly as we were lead to believe, plus it was cheaper than any other lot there is around the LGA airport. Sure I'll admit that I was skeptical at first but after this week I will recommend Bolt Parking LGA LaGuardia Airport Long Term Parking to all of my friends who are traveling from the airport. Bolt Parking offers excellent service. They are fast, friendly and efficient with the best rates in town. Thanks again for taking care of us, we really appreciated it more than words can express. Bolt Parking LGA LaGuardia Airport Long Term Parking is very conveniently located and dependable. We will use the service again the next time we fly. Thanks again! Amazing experience overall using Bolt Parking LGA LaGuardia Airport Long Term Parking. The staff was exceptional for all reasons. The daily parking fee was the best around compared to all the other airport parking lots around. I'd give it a 10/10 and will be recommending it to anyone I know traveling from the LGA airport. Excellent service from Bolt Parking LGA LaGuardia Airport Long Term Parking. Everything went so well it was like a dream. We will only use Bolt from now on. Two thumbs way, way up here! Strongly recommended! The service at Bolt Long Term Parking near LGA airport is spot on and fast. It's easy to follow the instructions for drop off and pick up, which makes everything run smoothly. Highly recommend checking them out! Outstanding value, convenient location and efficient and friendly staff. You MUST use Bolt Parking LGA LaGuardia Airport Long Term Parking, they are awesome! We will book again real soon. Thanks so much for the stellar service that we have come to expect and appreciate. Excellent service all around. The drivers were polite and courteous. We will only ever use Bolt Parking LGA LaGuardia Airport Long Term Parking when we go on vacation again. We were very happy to park at Bolt Parking LGA LaGuardia Airport Long Term Parking because everything went so well. The staff was great, the lot was clean and safe and the shuttle to and from couldn't have gone more smoothly. Thanks guys for everything, we will see you again soon! My entire experience with Bolt Parking has been simply wonderful. The location is only a short shuttle ride to the LGA airport and shuttle run all the time so you won't have to wait to catch one to get you on your way. Pick up is just as great, I only waited about 10 minutes which is completely acceptable. Traveling as often as I do I needed to find a long-term parking lot near the LGA airport that would take good care of my car and also offer great rates too. Bolt Parking is the lot that does both. I can't tell you enough how pleased I am with the service I've received the more than a dozen times that I've used them. Highly recommended for anyone looking for long-term parking. Bolt Parking has great daily rates! I was more than happy to leave my car here for a week when I saw how much the staff cares about the cars that are left in the lot and the people who leave them there. I would highly recommend Bolt Parking LaGuardia airport for your long-term parking needs. I was skeptical about leaving my car in long-term parking for an extended period of time in the hands of strangers BUT when arrived at Bolt Parking LGA LaGuardia Airport Long Term Parking all of my worries were put aside by the stellar staff who answered all of my questions and assured me just how safe my car would be. Thanks so much for the wonderful treatment! We thought we were going to have a hard time finding Bolt Parking but we didn't at all. The service from the manager at the check-in desk was fabulous and quick too. Better yet it was cheap, cheap, cheap compared to other lots nearby. Thanks for everything Bolt! Everything was great! Just as we were lead to believe, no surprises at all. Thanks so much to Bolt Parking in Queens for getting us where we need to be. Strongly recommended to everyone we know. Bolt Parking is very fast and convenient too. The drivers made sure to take special care of one of our bags on the way home so that we didn't have to worry about anything at all. Highly recommended! Great service from the start to the finish. Everyone was very friendly, helpful and organized too. Bolt Parking was easy to find and from the minute we pulled in we were completely taken care of. Excellent lot! Bolt Parking LGA LaGuardia Airport Long Term Parking is just the best. We weren't sure where we were headed so we called the office and they helped us along the way so that we got there with no troubles. We will absolutely book with Bolt again! Parking with Bolt Parking LGA LaGuardia Airport Long Term Parking in Queens is the only way to park for long-term parking and it's completely cost effective too! I love that the shuttle drivers for Bolt Parking do everything in their power to make sure you make it to the airport with tons of time to spare, drop you off right at the door that you need to be at and load and unload your bags for you so that you don't have to struggle with them yourself. I was searching online for a long-term parking option for my upcoming trip when I found Bolt Parking LGA LaGuardia Airport Long Term Parking. So glad that I booked with them. The staff is great, the price is right and everything went perfectly! I will highly recommend to all my family and friends. I've used Bolt Parking LGA LaGuardia Airport Long Term Parking about a half a dozen times now and never had a problem. Excellent company to deal with in all aspects never had to wait more than 10 minutes at drop off or pick up. I would highly recommend checking them out. We decided to take a bit of a gamble and try out Bolt Parking when we were traveling from LaGuardia airport. So, so, so happy that we did! We loved every part of our experience. Quick and friendly service and great value for your money too! Thanks, Bolt Parking for everything! We found Bolt Parking LGA LaGuardia Airport Long Term Parking when we were searching for a place to park our car while we went to Florida to visit family. These guys really came through, they were organized, fast and friendly. Thanks so much for helping to make our family vacation a great one! We just used Bolt Parking while we were away on our family vacation and loved our experience with them. It was easy and hassle free which was a bonus since traveling with kids isn't always so easy. Thanks to the wonderful staff at Bolt Parking LGA LaGuardia Airport Long Term Parking for everything! I wasn't sure that our car would be safe in a long-term parking lot while we were away on vacation but Bolt Parking put all of my worries to rest. The lot is well lit, they have very competent staff and the rates are great too which was a pleasant added feature! Love the valet service at Bolt Parking near Laguardia airport! The white glove treatment is what sets this company apart from others. Staffers are friendly, courteous and really work to make sure you have a fantastic and stress-free start to your vacation. The secure check out at Bolt Parking was probably the main reason that we will use them again. Oh and of course that it has great rates! We will recommend them to friends for sure. Just used Bolt Parking LGA LaGuardia Airport Long Term Parking for my trip to Italy. Drop off at the airport was smooth and when we returned I followed the simple instructions give to us for pick up and they were actually waiting for us after we had grabbed our bags. I've been recommending Bolt Parking to everyone that I know after my recent experience with them. It's a short shuttle ride to the airport, the rates are great and the staff is even better than that! Such a wonderful experience. Choosing Bolt Parking was a no-brainer. They offer around the clock surveillance with cameras and a security guard at all times. I love that I get all this for such a cheap daily rate too. Can't wait to get our vacation started. Thanks to the staff at Bolt it's already off to a great start. A huge shout out to the staff at Bolt Parking! They made sure that our entire family was well taken care of. While I checked us in another staff member went around and got each of our kids a drink and helped them to get the Wi-Fi set up on their devices. Thanks for distracting and caring for my kids while I got all of the paperwork out of the way! So people said that they wait for a shuttle to pick them up, but I would have to disagree complete. We caught a shuttle to the airport immediately after check-in and on our way back we only waited 10 minutes, which is completely understandable. Two thumbs ay up for Bolt Parking! Booking online is a must for me, it's far faster and much more efficient so that's why I chose to use Bolt Parking to park my car at while I was away on vacation with my sister. Everyone was wonderful and respectful the entire time both at departure and upon arrival when we returned home. Will use them again in the future. Great work all around! Bolt Parking has a quick turnaround time both for drop off and pick up. Even though our flight was delayed by several hours we didn't have a single problem getting back to our car when we finally arrived home. Thanks for the excellent service. I would strongly recommend using Bolt Parking near LaGuardia airport. Both the drop off and pick up were easy. The shuttle driver took us right to doors that were closest to where we needed to go once we were inside and picked us up from the same spot. Highly recommend them too! I just used the Bolt Parking service and am very happy with the entire experience. It's easy to book online and the directions given to get to the lot are easy to follow. The shuttle driver both ways was very friendly and handled my bags for me. I've told several friends that they should use them too. I love how convenient it is to use Bolt Parking near La Guardia airport! The staff is simply the best that there is. Everyone who I've told to use these guys have also been very happy with the service that they received. Thanks again for everything! Thanks so much for the excellent service that you provided. My family and I couldn't be happier with the service and overall experience that we received from Bolt Parking. We will be recommending to friends and family and using them again. Bolt Parking LGA LaGuardia Airport Long Term Parking is the only lot that we will use from now on. The prices are very affordable, you won't find them this great anywhere else. Traveling on my own with my 2-year-old daughter could have been hard but the entire staff went above and beyond to make sure it wasn't at all. We travel often and used Bolt Parking for the first time a week ago. We were particularly satisfied and impressed with the service that we received. The entire check in process was easy and was completed before we even knew it. The shuttle driver was extremely helpful and was more than happy to load and unload our luggage as well. Highly recommended! We just booked with Bolt Parking again and look forward to going back. The staff is wonderful and they go above and beyond to make sure that you get the best possible service at all times. Totally worth checking out and using, you won't be disappointed at all! This has been the best long-term airport parking experience we have had yet. Bolt Parking is close to LaGuardia airport, it's clean, and cheap too. What's even better is that the staff all treat all of their customers so well. We will use them again soon. Bolt Parking LGA LaGuardia Airport Long Term Parking always offers the best service! The shuttle picks me up and takes me right to the gate every time I use them. My car is always well taken care of while I'm away. Two thumbs up all around, highly recommended and will use them in the future. I travel a lot for work and always use Bolt Parking near LaGuardia airport. I've been very happy with the service from all of the staff. Everything to do with Bolt Parking has excellent! I strongly recommend checking them out. We just used the Bolt Parking LGA LaGuardia Airport Long Term Parking when we went to France. The service was friendly, fast and really convenient. We only had to wait about 10 minutes for the shuttle to pick us up when we got back to the country. The price is fantastic saved us a lot of money. Will recommend to our friends and family in the future. This is our third time using Bolt Parking when flying from LaGuardia Airport. We have been happy each time. Many of our family and friends have used the lot now too since we have been recommending it to everyone. I was so happy with my experience with Bolt Parking! Everything went well and they dropped us off right at our airline. The shuttle on the way back was just as great too! I've been recommending Bolt to everyone I know. The service that Bolt Parking offers is one of a kind. All of the customers are treated like VIPs. Thank you so much for everything. Bolt Parking LGA LaGuardia Airport Long Term Parking has top quality customer service and the shuttle ride is quick too. Highly recommend! Bolt Parking is great! The service is very efficient and easy to find. The drivers are the best, they really take care of you, you don't have to worry about your bags because they do all the heavy lifting for you. No complaints here, we will use them again in the future. I have been recommending Bolt Parking to all of my family and friends so they too can experience a hassle-free way to store their car while on a trip. Top of the line customer service! We had a wonderful overall experience with Bolt Parking near the LGA airport. My car was safe and in a secure lot the entire time we were away. Pickup and drop off to and from the airport were on time and seamless. Will use them again in a heartbeat. I had a great experience with Bolt Airport Parking near LaGuardia Airport. I arrived and the shuttle was waiting to whisk me away to the airport immediately. I will definitely use this lot again. Traveling with my family and on my own has always been made much easier with Bolt Parking. Pick up and drop off at the gate have always run quite smoothly. A++ is my rating. Definitely will use them again. Short wait time. Quick transport. Friendly staff. Very professional people here..was very happy with the service. Upon returning the airport closed the lower level pick up and I received a call immediately for a different pick up. Very nice!! Prompt transportation to and from the airport. Only issue was good took us to the back of parking and no entrance to facility. The driver refused to drop us off at the airline we were flying from. I have difficulty walking and was walking with a cane. We had to walk from Delta where he had dropped of another passenger off to American Airlines. We were the only passengers that were not dropped off at their airline. The driver took our luggage off the van and told us to get off. Unexceptable He Was going to pass our airline. This was my first time using instapark and the personnel and the service they provided was great. Immediate parking, modern, clean minibuses, friendly, helpful and attentive drivers and dispatchers. I had a very brief wait at lga for my return. I would definitely recommend and use them again. First time using good experience and fast service. Car was safe, quick ride to and from airport. Will definitely use them again! Good staff. Very efficient. Just a bit far from lga. Great staff & easy service...thrilled to have found InstaPark at LGA! Everything was excellent!! Speedy check in and pick up upon return. Great service and very professional. 1 hour wait from the time I called until I got into my car. That's too long. Thank you to your guys over at Bolt, we arrived dropped off car and within 10 mins were on our way to airport, upon arrival I called for pickup the gentleman told me 15-20 minutes. I walk outside and low and behold the Bolt van sitting right there so no wait, that was great haha. Thanks guys i've used other services and you blew them out the water. Was it by chance you guys where there when we came outside, maybe but it sure was better then standing in that muggy hot air. Thanks a again and yes I will be using yur service again in the near future as well as recommending Bolt to others. Service was fantastic, price was right, and they're located very close to the airport! Will definitely use them again and highly recommend. Very friendly drivers. After making our way through the daunting traffic of NYC to get there, it was such a relief to have someone take over and get us to the airport safely. The pick up was easy as well. I would highly recommend this company. Check in was fine. But I waited one hour and 15 minutes to get picked up at the terminal on my return - at 12:20 in the morning! I understand traffic was bad - weather, LaGuardia consruction - but they should be able to figure that out better. I don't think I will be using this lot again. It was a great, easy, seamless process. Had no problem checking in or getting back. Great place to park! Great service! Everything thing was very good.The lot is a little out of the way but the shuttles ride to the airport was quick and the van was clean and air conditioned.Pick up was fast and easy. Excellent! Nice and clean Mercedes Benz van picking you up. Friendly service and very convenient. Will use again for sure. Fast and efficient with short wait times on either end. $2/day fee extra forSUVs. Really? Oh well, I blow that easily at A coffee shop. Very good service. Good protection for the car, solid shuttle service, pricing could be just a little better. Nice people though. Very expediant exceptional timing. There was no waiting going in or leaving. We were a little hesitant to leave the car at first but our experience was EXCELLENT. The staff was courteous and efficient. The pick up shuttle was at the gate by the time we exited the airport. They had pulled my car to the front by the time we got back to the lot. WOW!! I would recommend them, 100%! Bolt parking staff was very courteous, drop off and pick up went smoothly. Guys were nice and professional. Would definitely recommend. Everything was great. Staff was very professional and helpful. I would use this lot again. It was by far the easiest airport experience I have ever had at La Guardia airport in NY. I arrived, parked my car and got into the van to go to the airport within 5 minutes. Driver was courteous and helpful. Upon my return, I called the number given to me and there was a van at the airport and picked me up within 2 minutes for the return to the parking lot. It could not have been easier or more uneventful, very efficient. Great staff, great experience. Highly recommend this option over all other options available (parking at the airport, having someone drive you, taking a limo). Service was prompt and staff was pleasant to deal with. When I landed and called for pick up, the driver came on time. I would certainly use them again. Great staff and convenient location. I will get straight to the point, this was the WORST experience that I had and with this being my first time leaving my car here, it will be my last! The man who answered the phone was so rude and obnoxious, no type of courteous customer service when asked about where the shuttle was over 1 & 1/2 hour wait. We had to wait in the hot LGA airport at A4 for terminall B and his excuse with a attitude was there is traffic and we will just have to wait. His name was Micheal and had the nerve to be the MGR! NEVER AGAIN, THEY ARE THE WORST!!!! I had no choice but to rate them with the 1 because 0 was not an option but the 1 rating equates to a Zero! Also, my car came there black and left dirty grey, there was so much dirt on my car it looked like it was at a construction site. They should reimburse me for a car wash.
Service was fast and easy. Drivers were polite and helpful. Will park there again. Perfect for our needs ! To and from airport was exactly what we needed ! Had a great experience with Bolt !!! Would Def use them and recommend them to others!